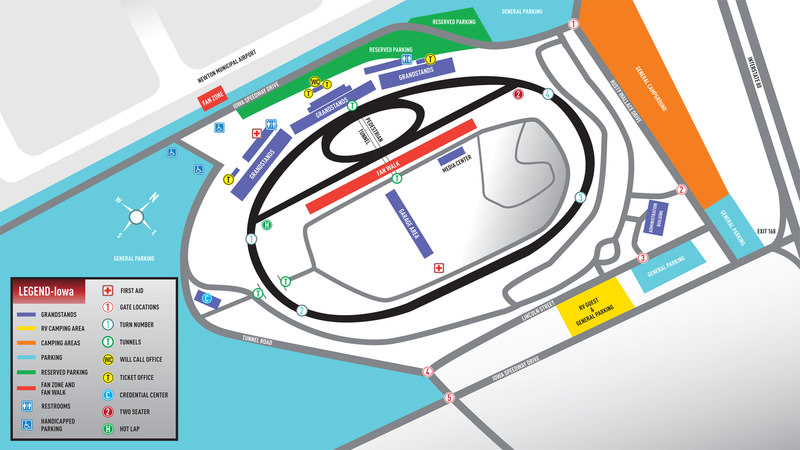 Tires available per entry: The Iowa tire specification features the same left-side tires used at the track in 2012, combined with the same right-side tires run three weeks ago at Texas. Because of the higher constant speeds and loading placed on the cars, a more durable superspeedway tire specification is necessary. A total of 1,128 tires are available.· Each entry receives 10 sets (40 total tires) for the race weekend. Rookie drivers and those outside the top 10 in points receive an 11th set to be used in the first practice session only. The four drivers who advance from the first two qualifying heat races into the final heat race may exchange the set run in the last heat for a new set for the main race.· Tire stagger: A single stagger of approximately 0.45 of an inch is available for all teams. Stagger is created by molding the right rear tire with a larger diameter than the left rear and helps racecars turn more naturally and smoothly on oval tracks. 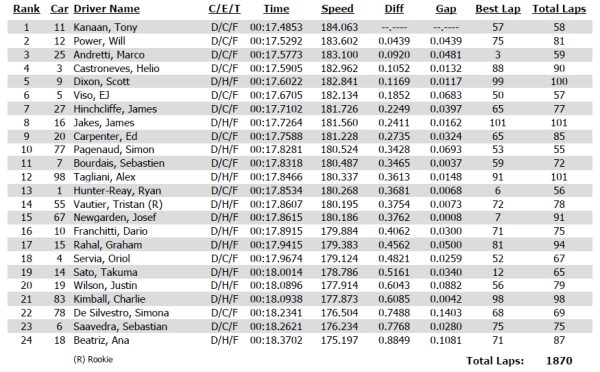 Serving 10-spot grid penalties: 3-Castroneves, 9-Dixon, 14-Sato, 16-Jakes, 18-Beatriz, 67-Newgarden. Heat race #2, lap 49: 16-Jakes spins and makes contact with the SAFER Barrier at the exit of Turn 2. Jakes climbs from the car without assistance. 18-Beatriz did not attempt to qualify due to undergoing an engine change.